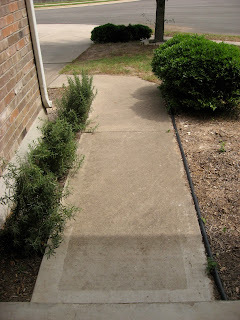 This spring my friend Michelle asked me to help her redo her front yard. I did some drawing, we did some shopping, she and her husband did some planting...and the rest is history. They were waiting until summer ended to plant the crape myrtle at the left corner of the house, and now they have a newborn, so I'm not sure when that's going to get done (soon, if I can help it), but even without it, the yard is vastly improved. I think my favorite part is the lamb's ear/lavender/gaura mix along the sidewalk. Or maybe the roses, which anchor both corners of the lot. I would have loved to raise the bed along the sidewalk with a 1-2' tall retaining wall, but that would have blown the budget. However, Michelle ended up finding a bunch of free limestone, so she did put in a small retaining wall after all. Michelle estimates that she and her husband spent about $3,500 on their new yard, including an irrigation system with sprayers for the lawn area and drippers in the beds. Based on my experience with the cost of landscaping, this would probably have cost about $10,000 if she had hired it out, so I'd say it was well worth the effort to do themselves. 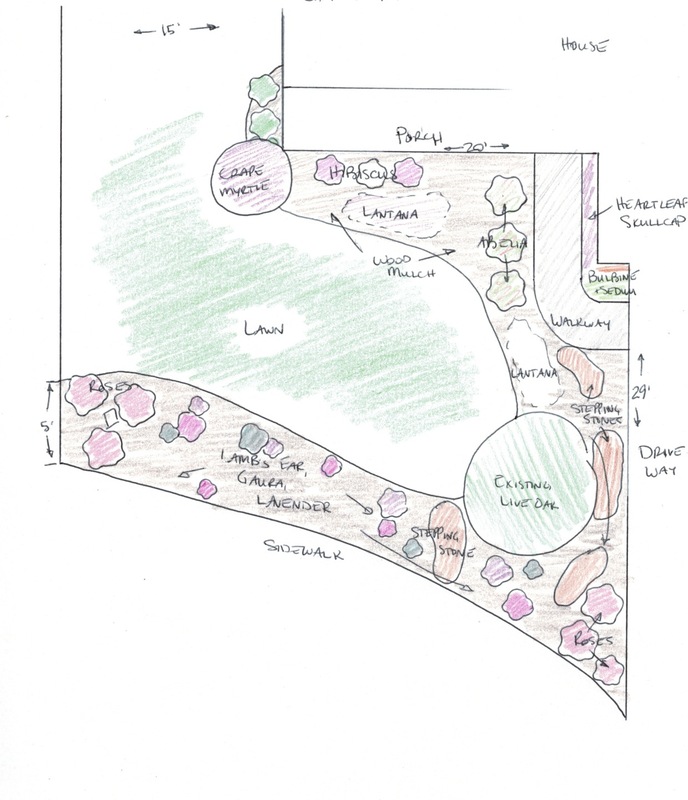 I do believe that landscape design is an important aspect of designing your property. 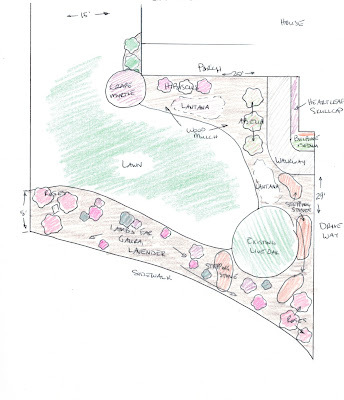 A well-designed landscape can enhance the value of the property.